Since 1989, more than 150,000 people have prevented 7 million pounds of trash from entering the Potomac River. Will you join us this year? Choose from hundreds of events in Maryland, Virginia, and DC, or lead a cleanup at your own site. Register online and invite friends, family, and co-workers! The Anacostia River is one of the main tributaries to the Potomac River. As we work collectively for clean land, safe waters, and healthy lives, the Alice Ferguson Foundation coordinates events throughout the entire Potomac River watershed, including within the Anacostia River watershed. The Trash Network offers an interactive map for community members to find an event in their local community. Our mission is to connect people to their local watershed through stewardship. We believe volunteering at a trash cleanup can serve as a transforming experience for volunteers and is a great place to start for becoming an environmental steward. 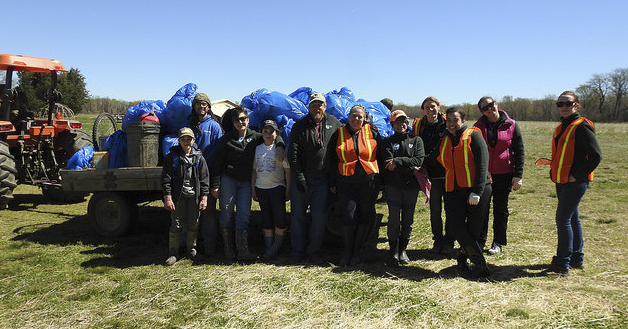 Trash cleanups are a great opportunity for people to explore their local communities and take pride in their waterways. We look forward to another year of preventing literal tonnes of trash from entering the Anacostia River!